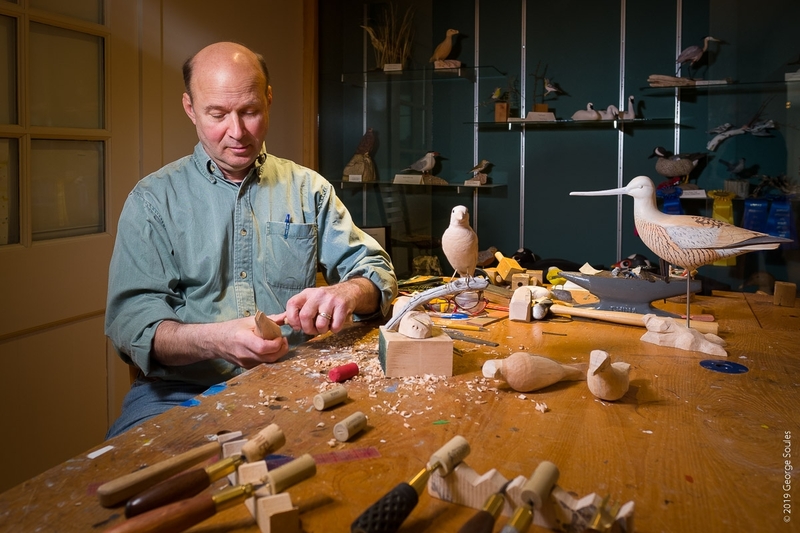 Steven Valleau is the Carver-in-Residence at the Wendell Gilley Museum in Southwest Harbor in Maine. 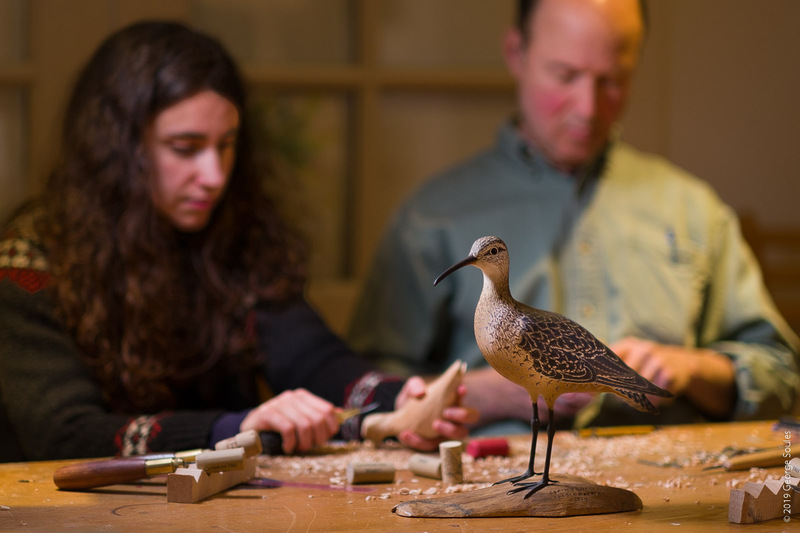 Inside the Museum, visitors can see his latest works and works-in-progress, or even learn to carve under his wing. 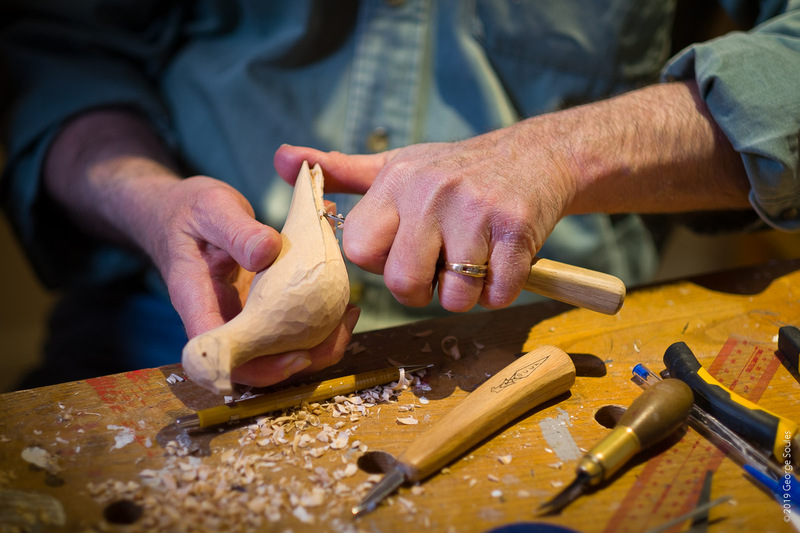 Steve teaches daylong workshops and short classes for beginning carvers. 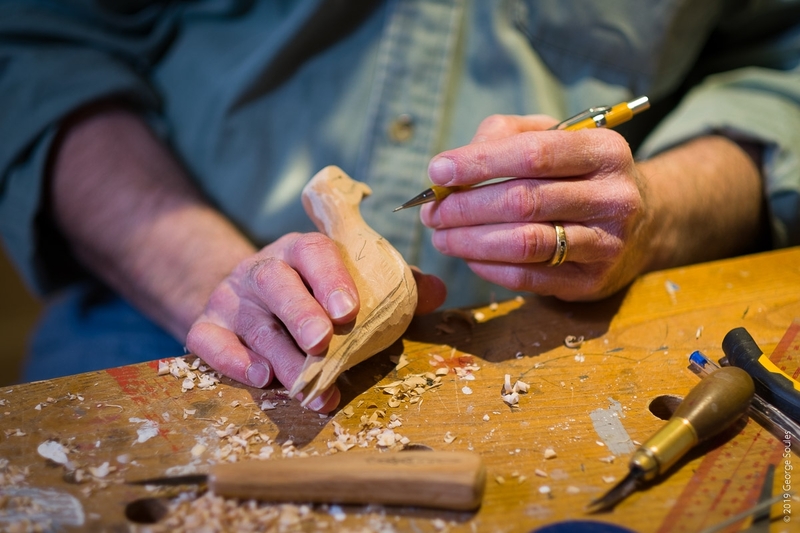 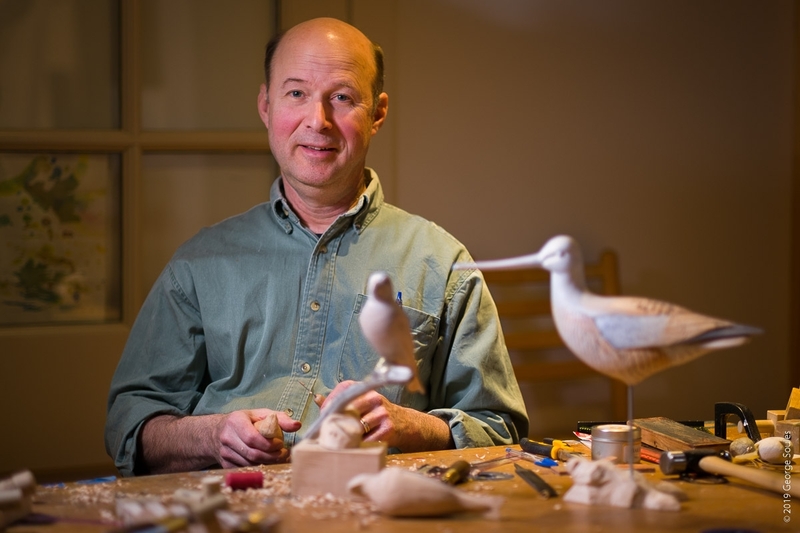 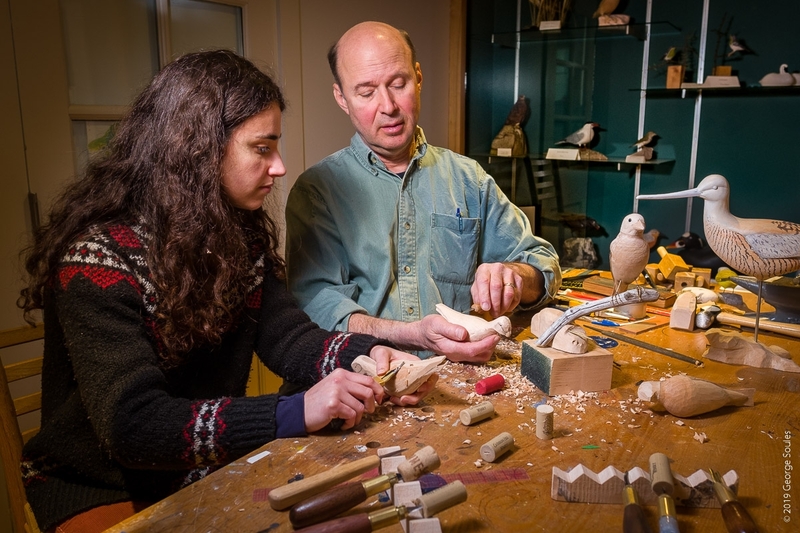 In the winter months he leads ten-week long classes for experienced carvers, as well as introducing students at local schools to the art of bird carving. 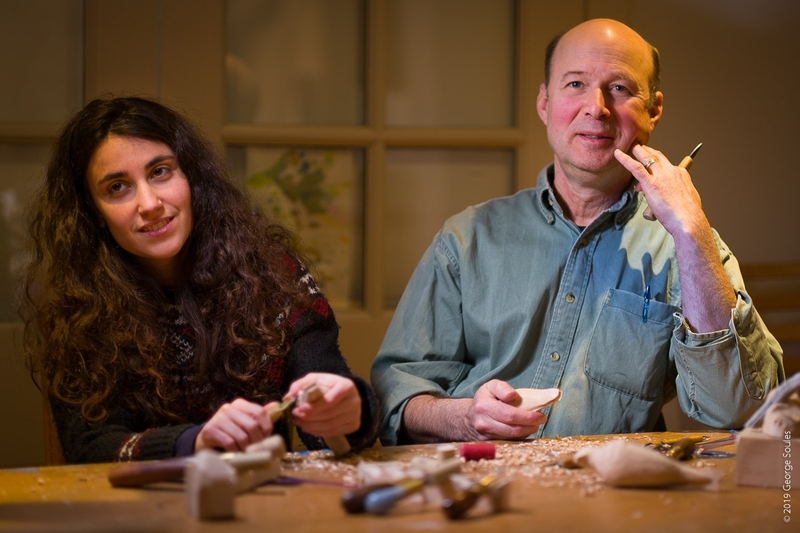 Below is a series of environmental portraits I made of Steve both working alone and with a student, Shir. 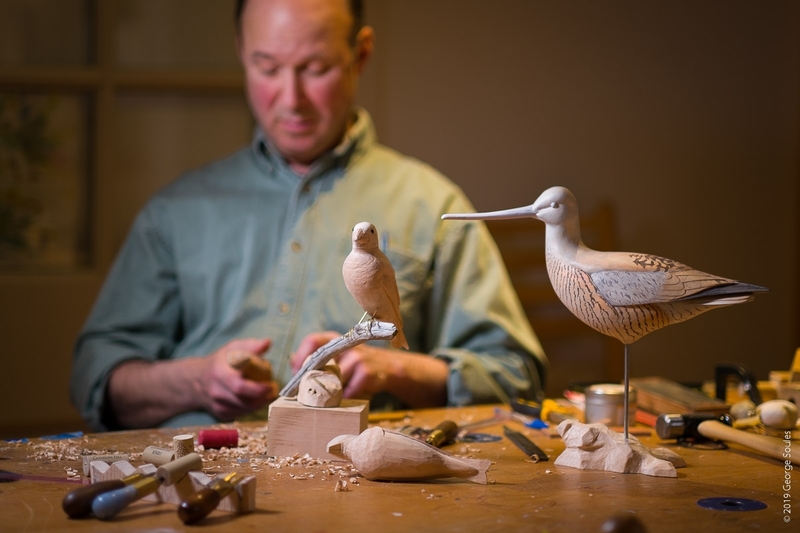 I shot these images with a Fuji XT-3 paired with a Fuji 16mm f/1.4 lens for the wide shots and a Fuji 56mm f/1.2 for the close-ups (24mm and 84mm in 35mm focal lengths). 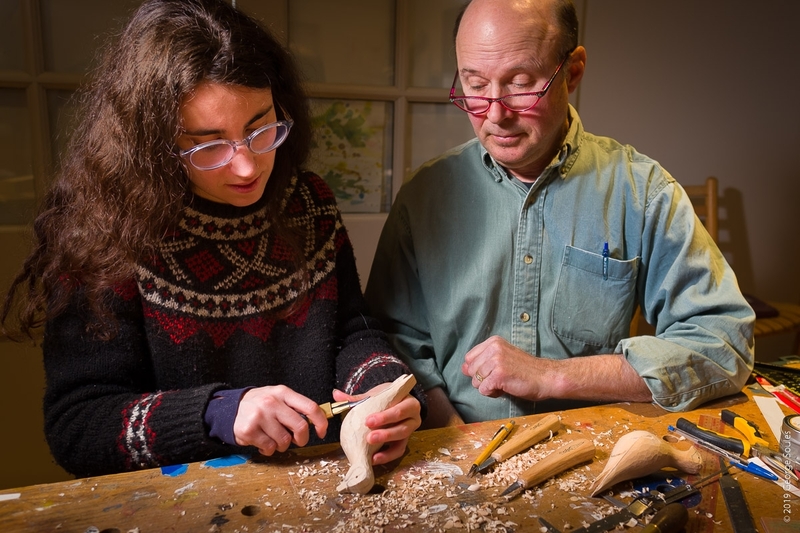 I lit the scene with a single speed light inside a 9″x14″ LumiQuest softbox with a homemade grid to focus the light on the subjects. 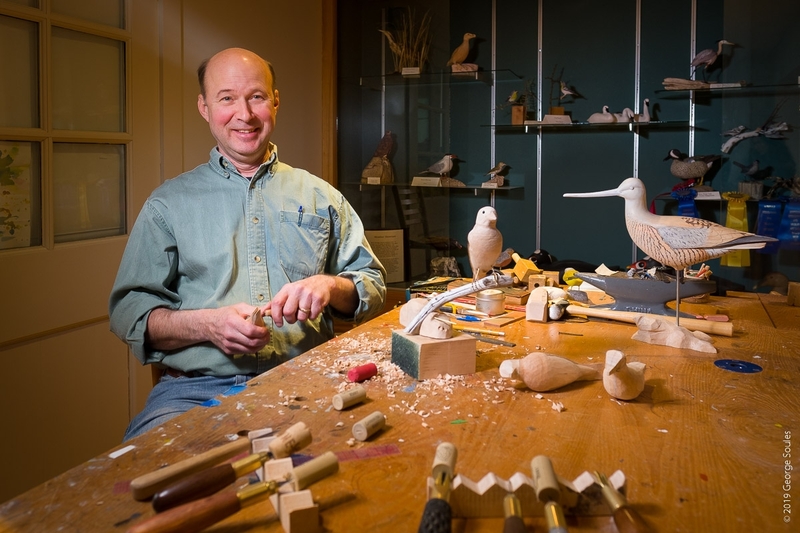 The next time you visit Acadia National Park, be sure to come on over to the quiet side of Mount Desert Island to enjoy the wonderful Wendell Gilley Museum and say hello to Steve.